Commonly associated with oil exploitation, derricks and hammams, Azerbaijan is a peninsula surrounded by the Caspian Sea. 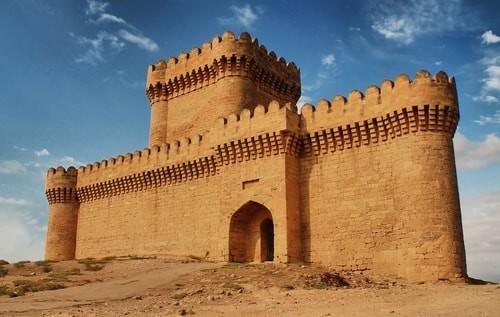 Baku, the capital protected by curtain wall forts, will dazzle you with its grand monuments. To the south, you can discover the archaeological site of Gobustan where caves, funerary steles and rock art still stand today. Gandjan, for its part, stands out for its Soviet period architecture. For nature lovers, take a trip to the Absheron National Park nature reserve promises a unique spectacle. To relax, you can walk along the wide coastal perimeter, which is surrounded by beautiful landscapes. You may also like to take a public bath in one of the hammam centers of the country. Whether it’s the summer or winter, you will be sure to enjoy your stay. *Malaria can be found in some places throughout Azerbaijan. Last Updated: October 30, 2018 17:05 ESTThe Health tab was updated - travel health information (Public Health Agency of Canada). Most health facilities in Azerbaijan are public and were founded in the Soviet era, hence the use of older equipment. The level of medical care in these institutions is of very poor quality. Whilst private hospitals are limited, it is worth remembering your options. These clinics provide a quality of care akin to European standards, such as the Central Clinical Hospital ((012) 492 10 92) or the German Medical Center (+994 12 937 354). Expats can also go to the International SOS ((012) 493 73 54). This center receives patients by appointment, except in the case of emergency, and offers drugs from international pharmaceutical companies. The aforementioned services are equipped with state-of-the-art technology and brand-name facilities. When travelling to the country, ensure to bring a complete emergency pharmacy. This is to avoid the poor regulations, poor quality and high prices of pharmaceuticals in Azerbaijan. For an ambulance, call 103. Is Azerbaijan Safe for Travel? Do I Need a Visa to Visit Azerbaijan? Both, a visa and a passport are required to enter Azerbaijan. Your passport must be valid at least six months from the departure date. The visa must be acquired before arriving in the country. An e-visa can be acquired but should be approved at least three days before the arrival date. Please note that this is the website for the Canadian Embassy in Turkey. There is no Canadian government office in Azerbaijan.